Available in 11x14 with two 6x8s or 11x14 with two 8x10s. Colors can be changed to better match your child's decor. 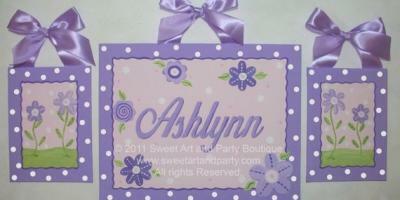 An Original painting © 2011 Sweet Art and Party Boutique...All rights reserved. My artwork and designs are Copyright Protected. No Copying Please!